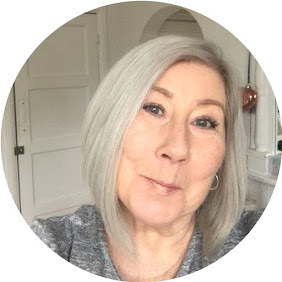 Firstly let me say I am a blogger not a scientist, but as regular readers know, I have a bit of an obsession with Collagen, and I thought it may be an idea to talk about, in terms of what it is and why we need it. I only discovered the whole Collagen story within the last couple of years, and as such take it daily without fail. 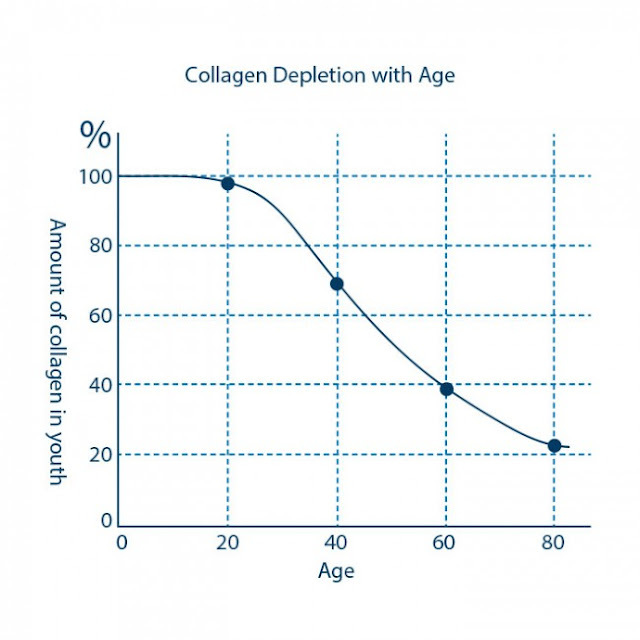 As you can see from the clever little graph at birth you start with the maximum amount of Collagen in your body as indicated by firm peachy, bouncy skin, and by age 25 it starts to deplete at what I would call a pretty alarming rate, hence wrinkles and looser skin, aches in joints, hair loss and often Arthritis. All of these things are associated with ageing, but the facts are it is mainly due to the lack of Collagen we carry in our bodies. One third of of all the protein in the human body is made up of collagen, so with the rapid depletion over the years you don't really need to be a rocket scientist to work out why we need supplementation, I only wish I had know this at 25 in order to slow down the whole wrinkly process. Signs that you are lacking in Collagen . In my humble opinion I don't really think we need a list of signs, everyone over the age of 25 should be taking it on a daily basis, and why wouldn't you ? if you knew it would help, and that your body was missing this vital ingredient. It is said that by taking Marine collagen in particular you will begin to see signs of improvement in around a month. One of the things I have heard said is that it is expensive, now don't get me wrong there are some companies that would have you pay almost £100 per month for your daily dose, however I have recently been pointed in the direction of a company providing high grade Marine Collagen at incredibly reasonable prices. Also, My personal view is that as women we would pay whatever it took to look after our Children, Husbands, Parents and even Pets, so why on earth should you be at the bottom of the list, you are so busy caring for everyone else you forget about yourself, but the thing to bear in mind, is that if your health isn't tip top, who will do the caring ? Check out the range of Products at Hellenia who also provide everything you could possibly need in terms of health supplements.